Circumstances: On 5 February 1990 at 6.45pm Mr Paul Glover reported that his son, Ames Glover, had been abducted from his car. 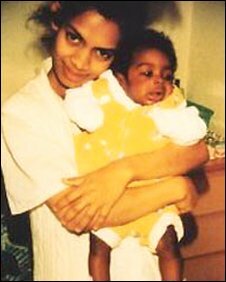 Mr Glover had left Ames, aged 5 months, alone on the back seat of his car, a blue Ford Sierra, in South Road, Southall, junction with Hamilton Road. He went to Lloyds bank cash point and then to the 'Kwality' take away curry restaurant in South Road, returning approx. 20 mins later. The car had been locked. Ames was dressed in a blue and yellow coat, light green baby grow, with blue and yellow hat and blue bootees. On discovering his son missing Mr Glover went into Hamilton Estate Agents and called police. Please help this very sad case. I'm sure we will do our best on here as a forum. Thanks Smokie. My heart breaks for this family. Can't imagine the pain. Hope this appeal gets some answers !